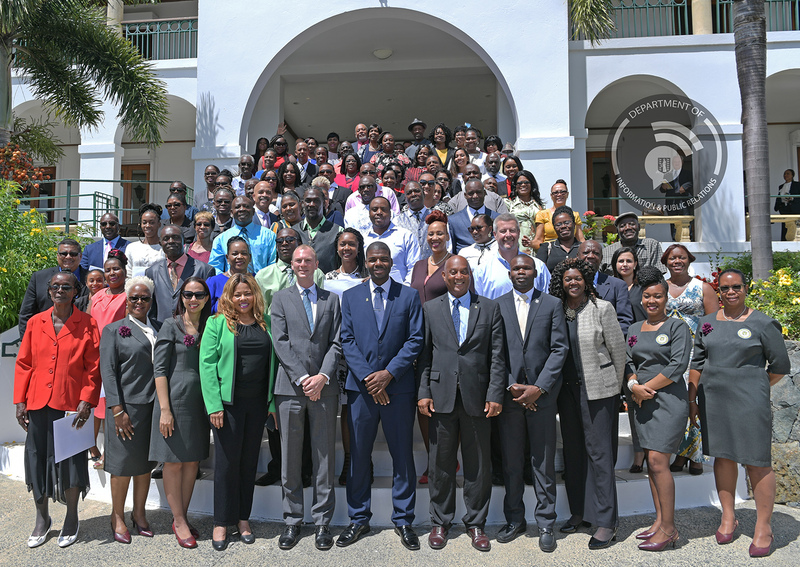 The new citizens who can now be registered as British Overseas Territory’s citizens (BOTC) recited the Oath of Allegiance to Her Majesty the Queen, as well as a Pledge of Loyalty to the British Virgin Islands at a ceremony held at Government House. The ceremony was officiated by His Excellency the Governor Augustus J.U Jaspert who stated that it was a great pleasure for him to hand over Certificates of Naturalisation to the 80 persons who have made the British Virgin Islands their home. Governor Jaspert also stressed the importance of the commitment to the BVI now reinforced with the acquisition of nationality. Meanwhile, Acting Premier, Dr. the Honourable Natalio Wheatley delivered remarks on behalf of Premier and Minister of Finance, Honourable Andrew Fahie. Honourable Natalio Wheatley congratulated the recipients on their new citizenship and reminded them of the privileges, benefits, opportunities and responsibilities. “It is your responsibility to defend the Virgin Islands figuratively and even perhaps literally,” he added. The event was chaired by the Registrar General, Mrs. Stephanie Benn who urged the recipients to take proper care of their certificates. Naturalisation is a process under the British Nationality Act of 1981 and the Virgin Islands Constitution Order of 2007 by which persons can become citizens of the Virgin Islands. Naturalised citizens become British Overseas Territory Citizens and as such they may obtain a Virgin Islands passport and are eligible for a United States visa waiver; they can register and vote in elections in the Virgin Islands; and apply to register as a British Citizen of the United Kingdom.